Dustin is one of our luckier models in the sense that everything happened very quickly. After signing with us he was picked to go on a three-week European tour that involved traveling back and forth between Paris and Milan for multiple Fashion Shows. 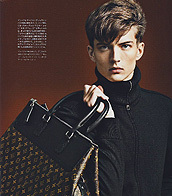 He has modeled for Jil Sander, Prada, Burberry, Alexander McQueen, and even got to do the Trussardi Campaign. 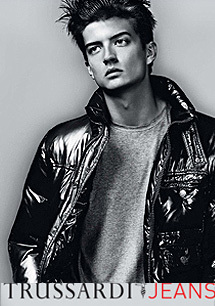 Most recently Dustin has modeled in London and is enjoying the spotlight of being a model.